Ready for your next TRIATHLON, well here it is !! 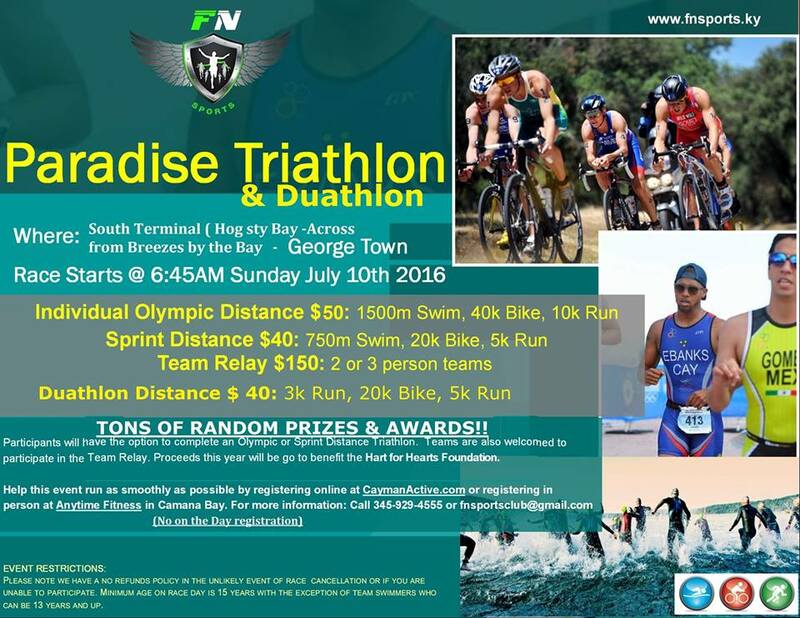 "The Paradise Triathlon" event will take place in the Heart of George Town on JULY 10th, 2016!!!!! This event attracts a wide range of abilities; from those that just want to get out and have some fun, through to seasoned athletes. Participants will have the option to complete an Olympic or Sprint Distance Triathlon. Teams are also welcomed to participate in the Team Relay. Proceeds this year will go to benefit the Hart for Hearts Foundation.